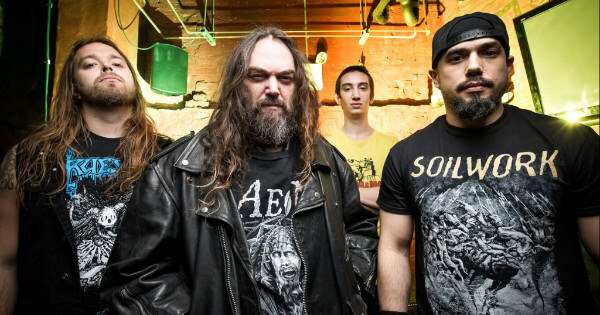 Soulfly has announced plans to enter the studio in January to record the follow-up to 2015's Archangel. A summer 2018 release via Nuclear Blast Entertainment is expected. The as-of-yet untitled album will be recorded with Josh Wilbur (Lamb Of God, Gojira). In a recent interview with Backstage Axxess, frontman Max Cavalera said: "I'm actually writing right now. I'm collecting the riffs right now and getting the ideas.I'm excited, because I think the album will have a little bit of a return to some tribal sounds that I haven't done since Prophecy. So that'll be cool, to return to some of that. And then the rest of the album will be a continuation of Archangel; a lot of people like Archangel. And, of course, I think that it will be also somehow influenced by Psychosis, 'cause Psychosis was such a cool record that I'm sure that somewhere in the Soulfly record we'll have the influence of that on top of it too. So it'll be a really cool record to work on."